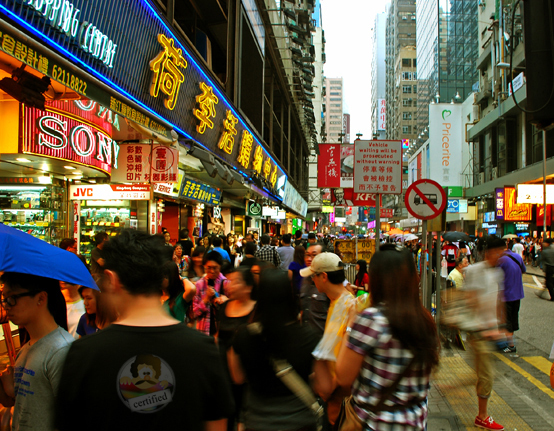 It was in the mid 90s that I got my first glimpses of Hong Kong – thru the Van Damme movies that were shot there. Till last week, my opinions and perceptions about this place were totally based on these movies. The vivid images of Hong Kong that I had in my head mostly contained drug racketeers, poker faced underworld kingpins, crime infested down towns, narrow crowded streets and lots of sea food. Hong Kong is the last place I would’ve chosen for a vacation with family. Yet I decided to go there this time. 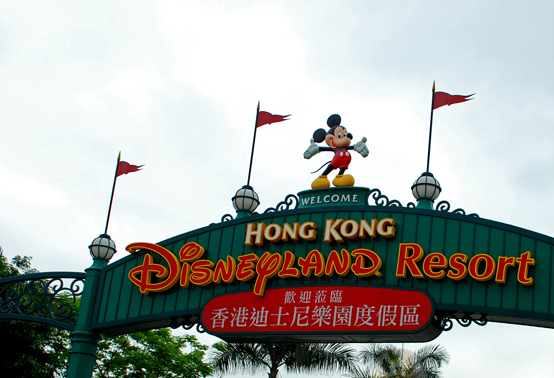 It was only because I wanted to take my 7 year old to a Disney Land, and the closest one for us was located in Hong Kong. Armed with a Lonely Planet guide on Hong Kong and Macau, I took the late night Dragon Air flight to Hong Kong. A decent late night dinner, and an early breakfast later I touched down at Hong Kong airport. The plan was to get to Macau directly without doing immigration clearance at Hong Kong, and this meant that I had to wait another 2 hours to take the Turbojet Ferry. Thanks to Wi Fi at the airport, I surfed the net a bit and tweeted out some wisecracks. Another half hour was spent stuffing myself with some expensive airport coffee and donuts. It was now time to board the ferry. In an hour’s time, the monster boat took us to Las Vegas of the East. Day 1: My reservation was at the Grand Waldo hotel located in Taipa island. By the time I got there, it was early evening. 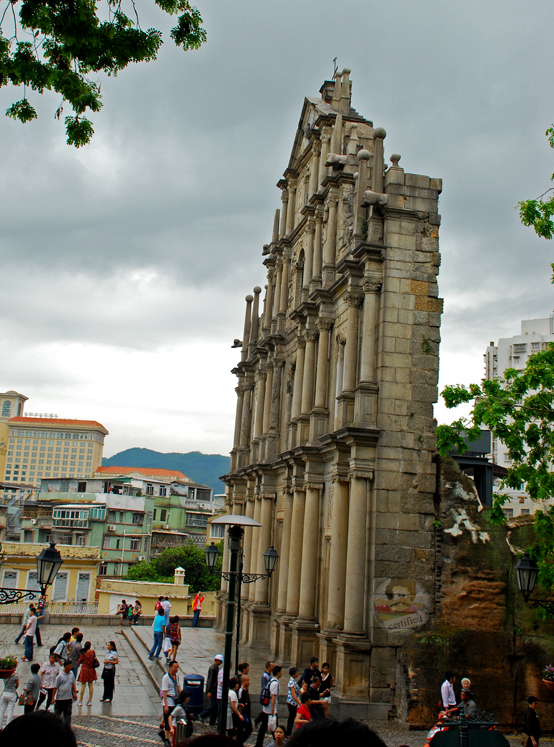 My first impression of Macau was that it was a very quiet city – not much traffic, and not many people around. (Later I would realize that it was so because most of the people were inside the packed casinos!). A power nap and soda helped me shake away my exhaustion from travel. That evening I explored Macau on foot. 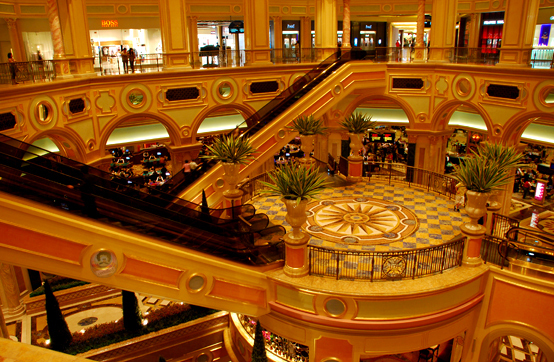 Grand Waldo is located 10 minutes (by foot) from the most famous of casinos in Macau – the Venetian. 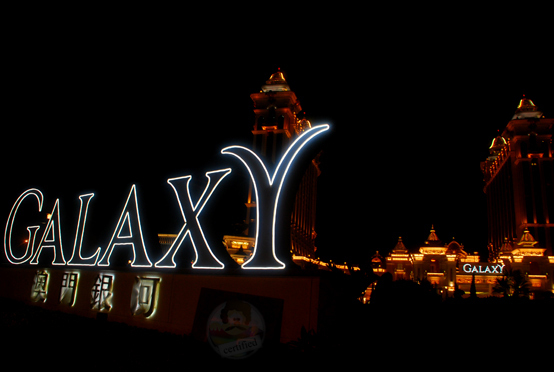 Then there was this huge new casino being inaugurated the next day called Galaxy. 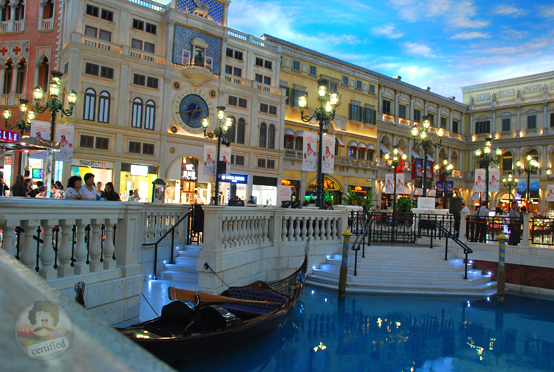 I circled around Galaxy and got into Venetian. After doing some shopping, I had dinner (fried noodles, and baked mushrooms. I forget the name of the dish) at the food court in Venetian. I walked back to Grand Waldo and tried my luck at the slot machines and roulettes. I realized yet again that gambling doesn’t pay. I retired for the day, poorer by around $ 200. Day 2: Took a tour of the city. Visited Ama temple (the temple that has a lot of spiral incense sticks) and ruins of St. Pauls church. My guide also showed me some old houses that reminds one of the Portuguese colony that Macau once was. My next stop was Macau Tower. The view from the top of Macau tower was amazing. 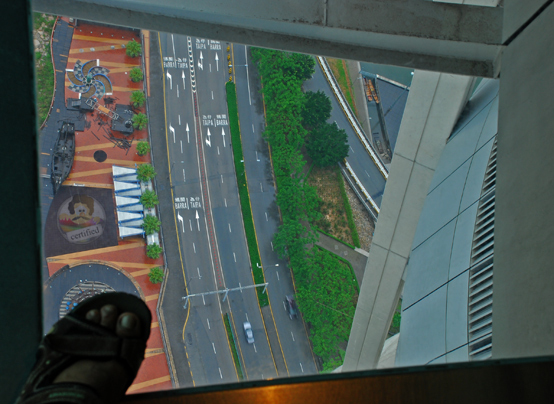 What’s interesting is that they have these sections of glass flooring, thru which one can see the land below. 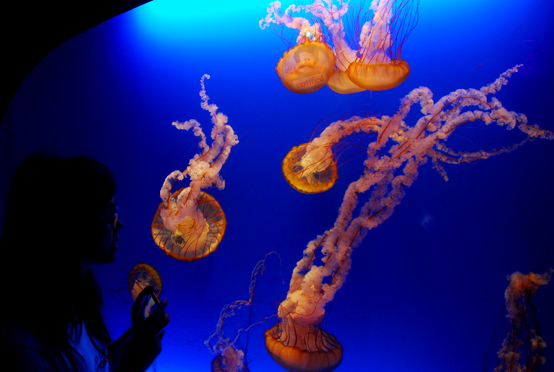 It takes some courage to step on that glass pane. Needless to say, I chickened out. (I wasn’t sure if they’d strength tested the glass for 220+ pounds of pure body fat). One can also do bungee jumping from the top of the tower. Did not try that. Short of time. ahem. Glass Floors at the top of Macau tower. Scary. 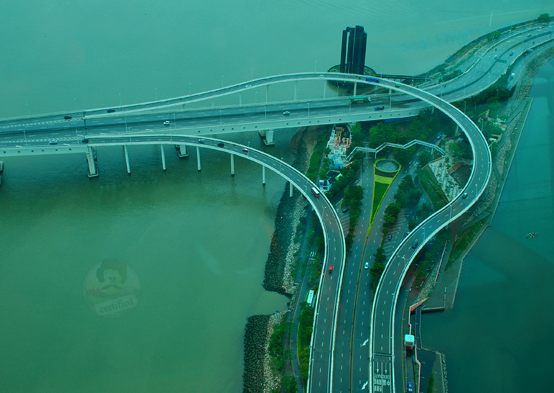 View from Macau tower. It was a foggy day. 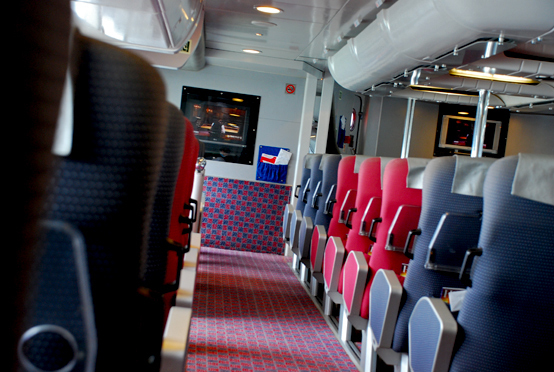 The same evening, I took the Turbo jet back to Hong Kong. After passing thru a huge line for immigration check (and having got ‘randomly selected’ for additional security check), I got out and hailed a taxi that would take me to Park Hotel. The evening traffic was heavy, and I dozed off a bit. I woke up to the hustle and bustle of Tsim Sha Tsui (TST, Tsimsy as people call it). 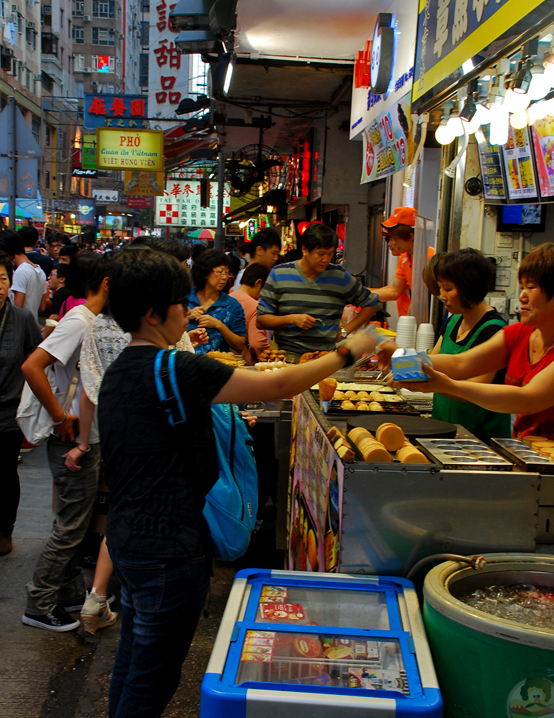 Now this was more like the Hong Kong that I had imagined – streets filled with people, neon lights all over. 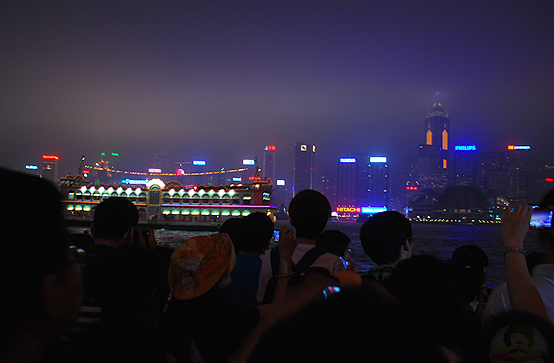 Tsim Sha Tsui, at the tip of the Kowloon Peninsula, is an exciting and ideal place to halt when you visit Hong Kong. 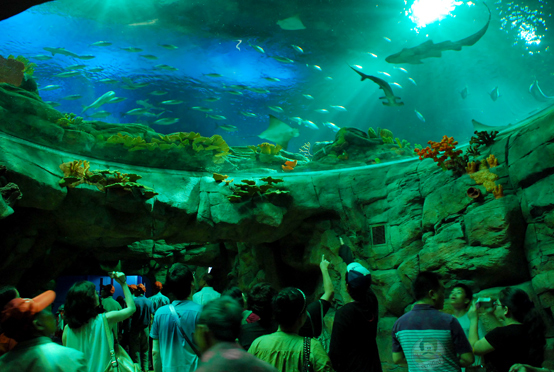 Getting around is easy, and there’s also an MTR (subway) station nearby. I checked in, had dinner at the Charlie Brown café right opposite to the Park Hotel, and retired for the day. Day 3: I explored the city a bit. I also learned to say ‘Good Morning’ in local lingo (sounds somewhat like ‘Jo Son’). Though my travel agent had warned me that locals would not be very friendly towards Indians (and I can understand why, given that we are not a well mannered lot while traveling), I found them very helpful. There was an instance where one of the locals patiently explained the best route to Avenue of Stars to me, even though he was visibly in a hurry to rush off somewhere. Thanks to me, he missed his bus, and probably had to wait another half hour to catch the next bus. By the way, I think every single person in HongKong has an iPhone – I got to make some apps in Mandarin/ Cantonese. 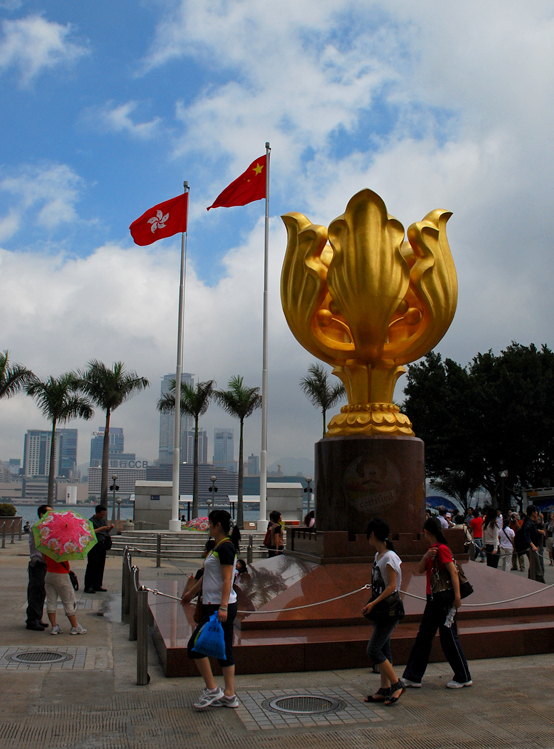 I visited the Golden Bauhinia Square, the Peak (Peak is where Madame Tussuads Wax museum is), and Avenue of Stars. 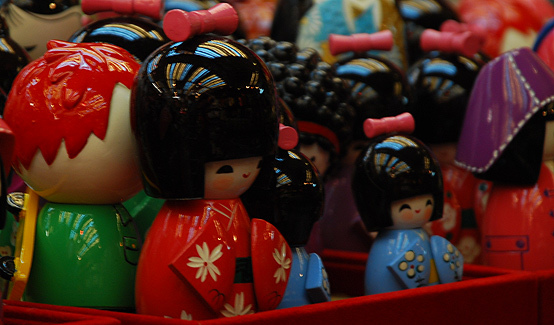 Later I went to Night Market, did some Indian style bargaining and bought a few souvenirs and gifts. I found HongKong very expensive for shopping. That night I saw the Harmony of lights show from Avenue of Stars. A local food joint. Brisk sales. Would that be chicken or geese? 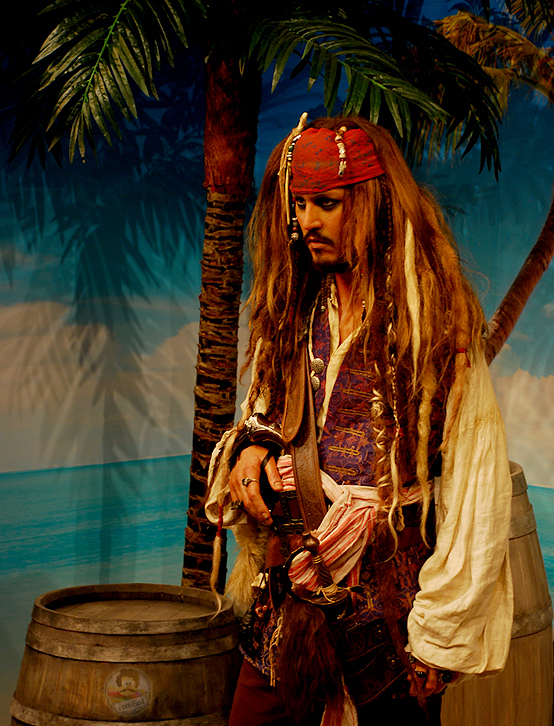 Captain Sparrow at Madame Tussauds. As popular as the real one. 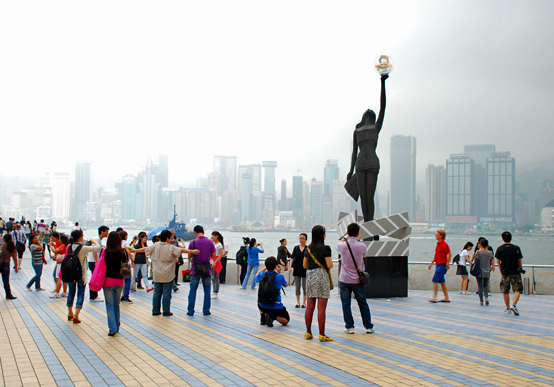 Bronze statue at Avenue of Stars. Near Tsim Sha Tsui harbour. Crowd watching Harmony of lights show from Avenue of stars. Day 4: A whole day at Ocean Park. A great place for fun. Got a key chain as token of appreciation for taking part in a survey. Cable car ride was amazing. So was the burger lunch. Do not miss the ‘Raging River’ ride. 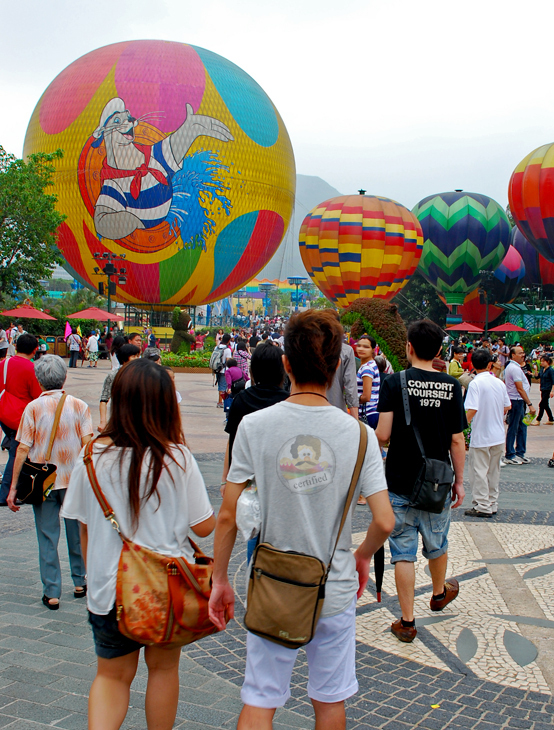 Giant balloons at the Ocean Park entrance. 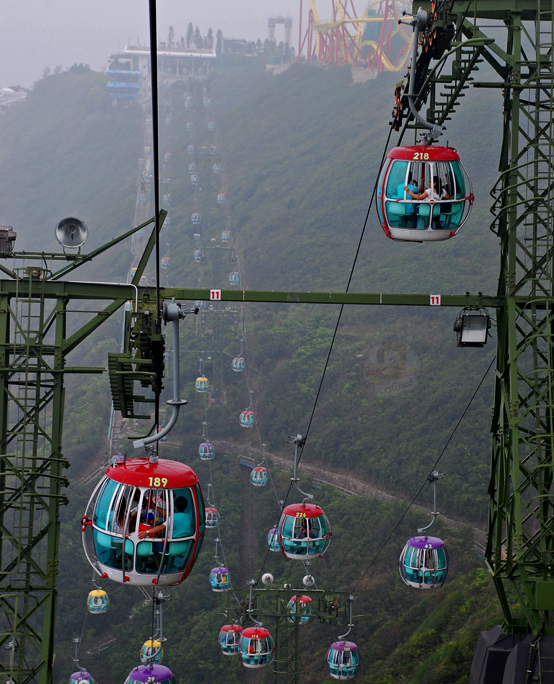 Cable cars at Ocean Park. Breathtaking! Day 5: Checked out from the Park hotel. Took a taxi to Disney Hollywood hotel. Checked in. Went straight to Disneyland. Spent the whole day there. A very rainy day. 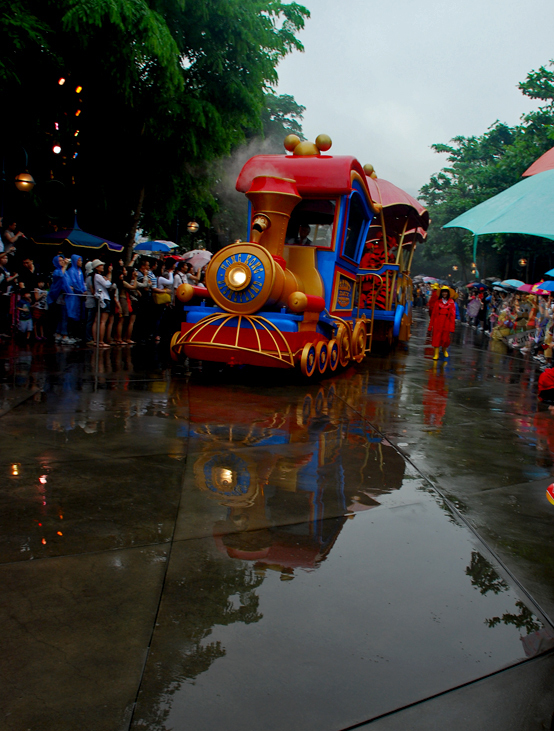 Watched the ‘Rainy day parade’ instead of the regular parade. The ‘Space Mountain’ roller coaster ride must not be missed. Back to the hotel after covering Tomorrow land and Fantasy land. Adventure land will have to wait. Tried Nasi Goreng for dinner. Partial disaster. Went back to see the fireworks. Came back. Slept partially hungry. 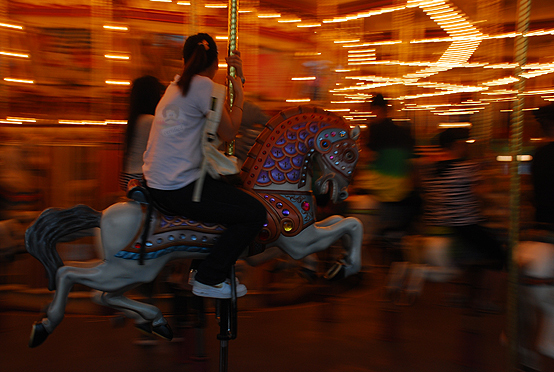 Lady in a carousel. Hows that for the panning technique, shutterbugs? Day 6: Another day at Disney Land. Covered Adventure Land. Back to the hotel. Checked out, and took shuttle to airport. Night flight back home. 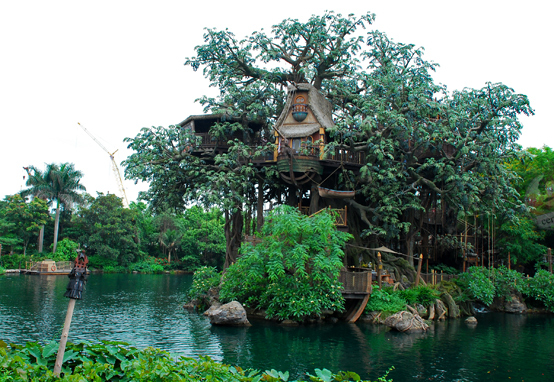 Tarzan’s tree house. Adventure land. 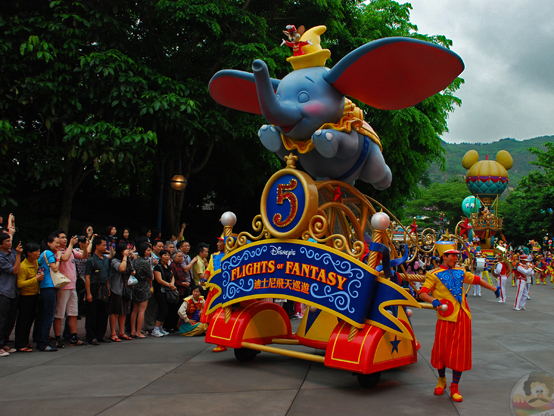 Disney’s Parade. The regular one. 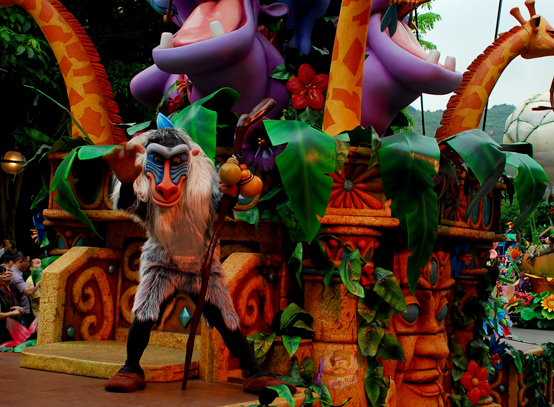 Another shot of the parade. 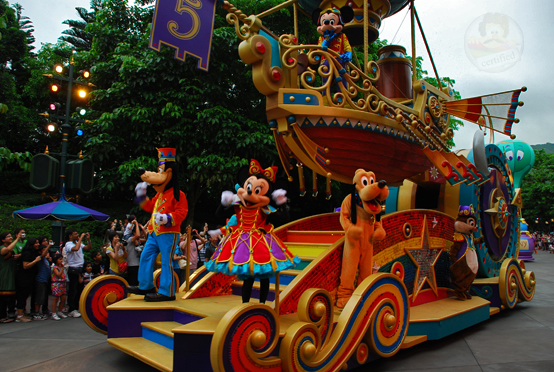 Yet another shot of the parade. 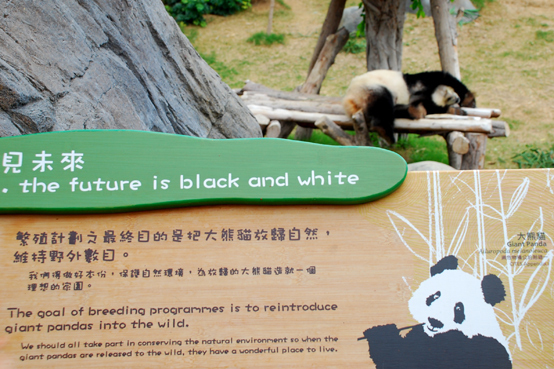 It was indeed an enjoyable trip – one that shattered all the false perceptions I had about Hong Kong. Hong Kong is now a place I would love to go back to. 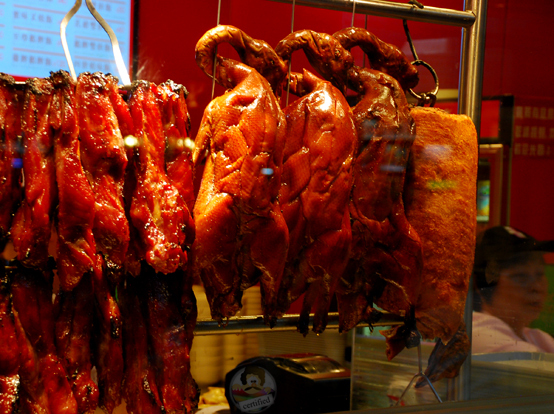 What was your experience visiting Hong Kong?